The two most important parts of a business website are (1) the system by which you allow your users to view/order your products and services, and (2) the system by which you allow your users to pay for a product. WEBster Computing Services offers comprehensive solutions for any commercial need, including interactive shopping cart setup/maintenance, new payment system setup, merchant account setup, as well as the integration of current payment systems you may already be using. In a special relationship with WEBster Computing Services, the iTransact Corporation offers complete real-time website payment systems (credit card acceptance, check acceptance, or electronic funds transfer) that are easily used into your website. iTransact services can be linked directly into our WEBCScart shopping cart system (see our working cart demo), Miva, Interchange or Agora. Alternately, if you only have a few items for sale and do not need a shopping cart, a free and quick on-line order form creator is available that will instantly connect your website offerings to the iTransact system. It is a fact that a large percentage of on-line sales are lost because customers did not have an easy way of completing the sale. An easy to use payment system is clearly a priority. iTransact makes things very easy. No need for a secure server. 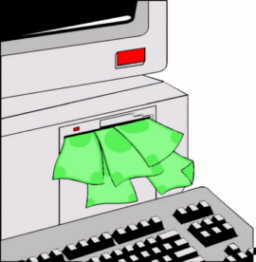 iTransact's server encrypts all transaction for you. No special hardware or software needed. No wallets or unconventional instructions to confuse your clients. Instant, hands free processing with receipts sent to you and your client. Works with any shopping cart system or, for smaller projects, can be used with the free on-line order form creator. To take advantage of the real-time payment systems below, you must be a registered user of iTransact. Registration costs $495.00 now just $295. To be eligible for this special price you should sign-up for iTransact through this link: [register now] . Once registered you may use any of the following real-time web payment systems. Choose the ones you want. Click here for system details. You need a credit card merchant account to use this service. If you currently have a merchant account it can be used in conjunction with iTransact if your processor is listed here. No per transaction fees (besides your processors fees). Works with any U.S. checking account. You need an EFT processor to use this service. If you do not have an existing EFT processor, iTransact can help you establish one easily. Approximately 99% of all applicants are accepted. Click here for details and fees associated with obtaining an EFT processor. To decrease the chance of check forgery banking codes are checked with a national clearing house. For increased security a check guarantee or verification service is available for an additional fee. Verification checks for insufficient funds and the guarantee does just what its name suggests. Performing real-time online transactions from your shopping cart. Performing real-time manual transactions with Virtual Terminal. Processing periodic billing through the batch upload function. Protecting against fraudulent transactions with the Address Verification Service (AVS). Taking advantage of complete online reporting capabilities. Offering electronic check payment options with eCheck.Net. Eliminating the need for additional hardware or software. Supporting an unlimited number of users simultaneously. To view a demo of Authorize.Net in action click here. The demo shows how Authorize.Net would take over after your shopping cart turned the order over to their gateway. Costs vary according to the processor used. Contact an authorized Authorize.Net reseller (who will also hook you up with a merchant account). Additional documentation is available here. Unlike the other two services above, EMS2000 is an off-line credit card processor. They set you up with a merchant account and a merchant terminal to process credit cards (most appropriate if you are a physical business too). With their system you can process credit cards via a generic credit card collection page which can be easily installed into both of our shopping cart systems. For current pricing, please see the EMS2000 website. Paypal (now owned by ebay) is a unique and growing internet payment service. It allows you to very easily accept money from a customer's bank account or credit card. If you do only the former, the Paypal service is absolutely free. If you process credit cards with it, it costs just 2% of each transaction. And best of all they pay you $5 just to signup and there are no other setup fees. They will even pay your customers $5 for becoming paypal members in the unlikely event they do not yet have a paypal account. Real-time online transactions from your shopping cart. No need for an additional credit card processor. Information on integrating paypal into a shopping cart or payment system is available here. Signup for paypal service here.